The Corrymoor Farm web site says it all re mohair! Their socks are all mohair with nylon added for stretch. Rare in this day of mostly plastic fabrics! Ohhh and the goats are gorgeous too. Any moisture is quickly wicked away. This is true… we aren’t just saying it. It does mean that you can wear them for a considerably long time without washing them! Mohair fibres are naturally smooth which makes it difficult for foot bacteria to build up thereby preventing foot hygiene and health problems. Chiropodists and podiatrists recommend Corrymoor Socks. We find that people with sensitive skin or who can’t wear wool can wear our socks. Hardwearing and will last for ages. Mohair fibres are 3 times more resistant to rubbing than wool fibres. Nice article from the Guardian….the strength, smoothness and gorgeous ability to drink up dye are well known mohair properties but I’ve never heard about anti-backerial properties of kid mohair! ‘Steve Whitley uses the fleece of his young angora goats in hosiery that ‘can be worn for as much as a year without washing. The easiest way to help is to use rare breed products and services! 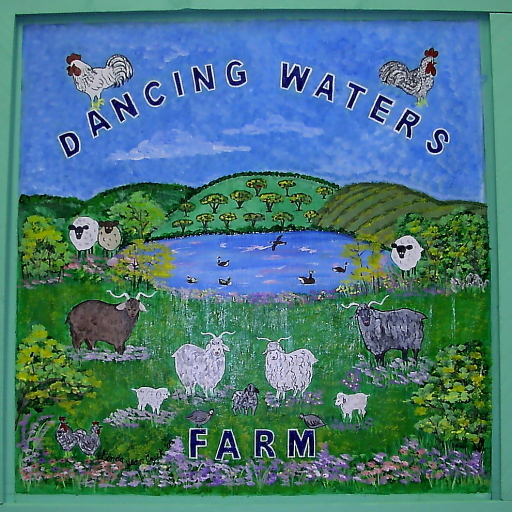 Find a local farmer that sells fresh, healthy rare breed products. By giving these breeds and farmers a job, we help ensure their futures. 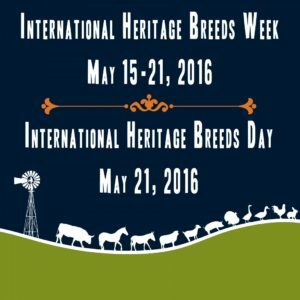 Help rare breed populations grow by purchasing products like meat, milk, eggs, and fiber from heritage breeds. You can search for products by location on Local Harvest (then check farm listing for breeds raised) or on the Livestock Conservancy (members that sell heritage breed products). I’m listed on both. My eggs are generally sold out in advance but there’s always lots of fiber looking for a new home! NOTE: the Livestock Conservancy product directory search is down for updates as of today (May 5, 2016). If you join, members get a paper version of the directory. Good news for poultry breeds! I love my rare chickens and am thrilled to be helping preserve these breeds for the future (Australorp, Chantecler, Delaware, Dominique, Favorelle). Pittsboro, NC [May 4, 2016] – Today, The Livestock Conservancy is releasing its 2016 Conservation Priority List, and is excited to report that overall trends in North America are improving for endangered livestock and poultry breeds. 25 breeds have improved in status, 12 have declined, and 3 have been added to the list. 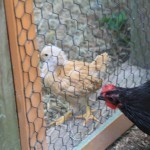 2 breeds of chickens, Orpingtons and Wyandottes, now have secure populations and are no longer at risk of extinction. The majority of changes this year have occurred in the poultry categories, because The Livestock Conservancy recently completed an extensive nationwide poultry census, which polled thousands of poultry keepers to determine the population status of more than 90 poultry breeds. 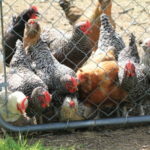 It revealed that more than 25% of poultry breeds’ populations grew in the past ten years. “Even with the progress we have made in some breeds, many others still have a long way to go” said Dr. Alison Martin, the Conservancy’s executive director. According to a recent report by the Food and Agriculture Organization of the United Nations, at least 17% of breeds worldwide are at risk of extinction.¹ In North America, the percentage of endangered breeds is much higher than average due to highly specialized agriculture, in which production is dominated by just a few breeds. “The Livestock Conservancy’s priority list serves as the guide for our conservation efforts and shows us which breeds need the most help,” said Martin. 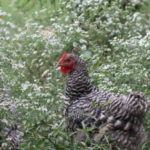 “Some breeds like Choctaw hogs, Crèvecoeur chickens, and Caspian horses are actually much more rare than endangered wildlife species that most people are familiar with.” The Conservancy currently lists 51 breeds as Critically Endangered, meaning that they could easily become extinct without careful monitoring and breeding strategies in place. An additional 113 breeds are in less critical categories, but are still in need of conservation.